Today, operation started on Stirling DK's latest installation situated on the campus areas of the Technical University of Denmark (DTU). Approximately 1% of DTU's total power consumption and 2% of its heat consumption will be supplied by the installation. The plant includes a Stirling engine with an output of 35 kWe of electrical power. 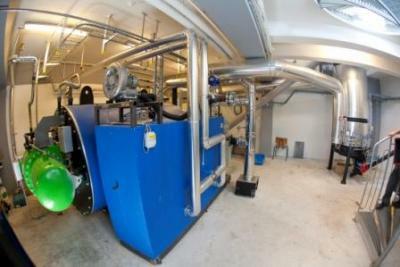 The surplus heat from the plant, in the form of hot water, is fed into the district heating system of the DTU campus. The plant is fuelled by wood chips originationg partly from cuttings from DTU park areas. In this way, the plant is a stand-alone facility that enables DTU to become partly self-sufficient with CO2-neutral power and heat from locally availabel fuel sources.